A summary of 2006’s theatrical performance, looking at box office trends, admissions trends and consumer attitudes. A brief summary of the domestic box office, admission and screen count trends, including the top five grossing films domestically. A brief summary of international box office and admission trends by region for the past four years, includes the top five grossing films worldwide. An annual study which provides a summary of the demographics of moviegoers and an analysis of the yearly changes in frequent movie attendance. A summary of a piracy study conducted by LEK Consulting outlining losses due to piracy, profile of a typical pirate, and a list of worst offending countries. Details the domestic performance of the motion picture industry by media, comparing year over year changes and comparisons to historical data. I find the Entertainment Industry Market Statistics particularly useful, since it also covers home video and DVDs, broadcast and cable television, and PC and Internet usage. Josee often tells you about new books added to our collection. Today, I'm going to steal a bit of her thunder (sorry, J!). We recently obtained an electronic version of the book "Web & Software Development: A Legal Guide". It's published by Nolo, a publisher of self-help legal books for people & businesses (and provider of lots of other titles in our collection). I like the books from Nolo, because they're an honest attempt at boiling down complicated legal issues into terminology that's straightforward. A lot of their titles (like this one) are written by practicing attorneys with practical experience in their chosen specialty. We bought this book primarily because of a recurring type of request: Is software patentable? And, if it is, is it worth pursuing? I tried researching this question without this book, and the stuff I found was just dense and likely of little use to the client who needed it. Fortunately, chapter 9 - "Software and Internet Patents" - was a bit of help (though the answer still isn't a simple "yes" or "no"). The book also addresses questions relating to copyright & trademark issues relating to software and website development. So, know that we've got a resource that can at least get at some of the basics behind this still-growing area of the law. After reading through Mary's SPD Gazette and seeing what great things the centers are up to, I'd like to reiterate an invitation to send in DVD copies of tv spots, interviews or programs created by the regional centers. We are hoping to collect these materials in the hopes of becoming a depository for materials - printed, electonic or audio-visual for the products of SBDC collective talent. At some point, hopefully sooner rather than later, our catalog will be accessible and searchable by the rest of the NY SBDC. So, if you have materials you've produced that you can share, please do so. At the very least, we can keep a record of what materials are produced around the network and who to contact for a copy. Gloria is on tv, and she mentions us! The videos cover how to start a small business, financing, marketing, franchising, and businesses plans, and many of the services provided by the Small Business Development Center. And Gloria mentions the Research Network, and our market research services. Thanks Gloria! So how important is a tagline? Well, it briefly represents your brand identity and positioning. If it's off target it hurts you and if you don't have one it hurts you. A tagline can be powerful and actionable. Let's play a little game. Which taglines do you know and associate with? If you know them and the company they belong to then they've done their job. Does your tagline measure up? Then their sales pitch. But it's a bit of fun, and maybe you can think of more to suggest to your clients. What brands are associated with these taglines? 1. You deserve a break today. 2. Be all that you can be. 4. It's the real thing. 6. It takes a tough man to make a tender chicken. 9. You've come a long way, baby. 11. It's where you want to be. 12. It takes a licking and keeps on ticking. 13. Don't leave home without it. 14. A different kind of company. A different kind of car. 16. Melts in your mouth, not in your hand. 17. When you care enough to send the very best. 18. Have it your way at �. 19. All the News That's Fit to Print. 20. Put a tiger in your tank. 22. We bring good things to life. 23. It's not just a job; it's an adventure. 24. The thrill of victory. The agony of defeat. 25. Nothing beats a great pair of �. "If you want to get a VC's attention, you need to make a stronger statement than that. Here's how." ""Empower entrepreneurs" is Guy Kawasaki's mantra. He is former chief evangelist for Apple Inc., co-founder of VC firm Garage Technology Ventures and author of eight books--most recently, The Art of the Start. Visit his blog at http://blog.guykawasaki.com." When I’m not sure what to blog about, I read blogs to get ideas. Today I went to Stephen’s Lighthouse (by super-librarian Stephen Abram), and found a link to another blog posting, about, well, blogging. This posting, “55 Essential Articles Every Serious Blogger Should Read” from the Entrepreneurial Blog of Matt Huggins, highlights articles and, of course, blog postings, that provide useful information to bloggers. Topics include getting started, creating content, increasing traffic, and making money. I will receive free money or loans because I am a minority, woman, veteran, or ex-convict. I’ll get rich quick and won’t have to ‘put up’ with people. I will be my own boss, be free to do whatever I want, and no one will tell me what to do. I will work less and be able to have more free time if I am an owner versus an employee. It doesn’t matter what my family thinks about me going into business. If I know how to do the work, then I can run the business. I plan to hire someone to run my business for me. If I build it, they will come. Whenever I turn the key on the door, there will be a line of people waiting to buy my products. I know my idea will work because my friends and family thought it was a great idea. I don’t need to write a business plan because I have contracts with my customers. There is no competition in my area. The lack of a product or service in an area is the most important indicator of a need for it. The way to succeed is to have the lowest prices in town. This restaurant I’m buying did poorly because the owner’s prices were too high. I’ll just lower prices and be more successful. Incorporating my business will protect me from all liability. Advertising is a good place to start when cutting expenses. If I attend a tax education seminar, the IRS will audit my return. If I attend an environmental management seminar, DEP (Department of Environmental Protection) will visit me. If I attend an OSHA seminar, I will be visited. I do not have to put any money down if I borrow from a bank. There is no way I am going to put my house at risk by using it as collateral for a loan. I am buying a successful business, so the bank will only look at the profitability of the existing business and not at my credit or experience. If I don’t pay the payroll taxes I can just declare bankruptcy and they will go away. I have to be a risk-taker to be an entrepreneur. 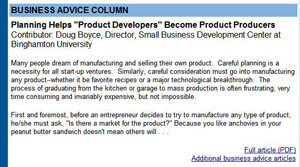 If they still want to start that business, they should take a look at the articles at StartUp Junkies.org. e-News' convenient format will put IRS tax information at your fingertips. "Useful Links" brings you quickly to some of the most useful information on IRS.gov for large and small businesses and the self-employed. To start your FREE subscription to e-News, just go to IRS.gov, type in your e-mail address and submit." And if you didn't hear it here first, then my apologies. This World Bank site offers a picture of the regulatory costs of doing business. You can look at a map decorated with different colored flags to indicate the level of difficulty of doing business there - ranking issues like starting a business, obtaining licenses, employing workers, registering property, paying taxes and closing a business. For instance, the US ranks as number 3 for ease/difficulty of starting a business, with a 22 for obtaining licenses and a 6 for enforcing contracts. Taiwan ranks in at 62 for enforcing contracts and 148 for obtaining licenses. The Dealing with Licenses Report totals up the number of procedures and days to producing a license; the Trading Across Borders has a summary of number documents needed for export, cost to export per container. Singapore tops the chart for ease of starting a business, followed by New Zealand, United States, Canada and Hong Kong. The site also offers a tidy summary for each country like this one for Denmark. 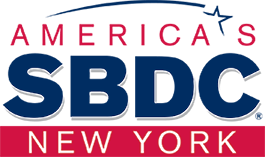 We've added a new feature to the NYS SBDC home page! I mentioned having a "Business Advice Column" when the site revision first came out, but due to lack of content, it hadn't happened. Until now. So thanks to Doug Boyce and the folks in Mid-Hudson for sharing their articles with Mary, and through Mary, me. If you have any pieces that would fit in this space, please send them along. Items that haven't been published or have no copyright relationship with a newspaper or publisher would be especially welcome. I'm planning to change articles every two weeks or so, and articles will be archived here. A question we were asked recently: Does a business need to get I-9 forms (employment eligibility verification) from its independent contractors? My answer: No. And yes. No, it’s not required of them, but if someone, say Wal-Mart, had a bunch of illegal immigrants working 60-hour weeks with no overtime on their behalf, that would look bad for Wal-Mart. Wait, that DID happen. At a minimum, require your contractors to furnish you with copies of Forms I-9 and supporting documentation for the workers they bring onto your site. From this legal site: An employer may not knowingly use an independent contractor to obtain the services of unauthorized alien workers. If an employer has knowledge that the contractor uses such workers, the employer will also be liable for an I-9 violation. The rest of the world needed reminding, though, and I'm happy to report that our diligent public relations campaign is paying off. Two articles appeared this past week, focusing on how the newer generation of librarians believe that the skills necessary to bring people & information together in this digital age ought to mean that the musty old librarian stereotypes should fall by the wayside. I'm wholly in favor of that (though I'm hardly a "new generation" librarian . . . I'm young at heart). A couple years ago, someone from Empire State Development came to our offices, asking us to help them in the process of getting businesses certified as minority- and/or women-owned. Someone (probably me) asked what the turnaround was, and we were told it was 8 to 10 months. Yikes. At the NYS SBDC staff training a couple months ago, the same question came up, and we heard that the processing time was half the time it used to be, with even more improvements expected, thanks to the efforts of the Lieutenant Governor's office. Here's the application. The things I found most encouraging is the fact that applications from other entities, such as Port Authority, are now being accepted by ESD. Here's the applicable legislation and a website with more information. The two questions that our author-clients frequently ask the most are, "What publishers specialize in my subject area? ", and "Where can I find an agent?" For the first question, I recommend visiting AcqWeb's Directory of Publishers and Vendors. Note especially the section titled "Publisher Web Sites: Subject Directory". By clicking on any of these broad categories, you'll be led to a page that links to the websites of several dozen publishers. It's a fee-based service, but might be one worth a look."